The Surf Sports season gets under way in earnest on Saturday 10 November with a full-day surf carnival at Waipu Cove. Having had their first taste of competition at the Long Distance carnival in October and, for paddlers, the Surf Canoe Classic at Red Beach, athletes will be keen for some fully-fledged surf action. Last season’s Rookie members who became qualified lifeguards in September will, after Saturday’s events, remember the Cove as their very first carnival venue in Senior ranks. 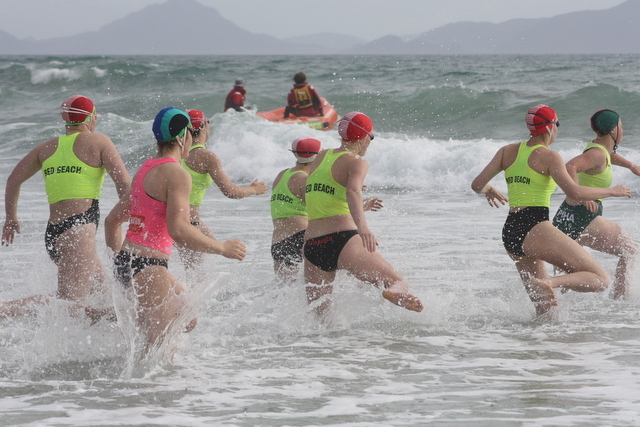 The programme features board, ski and run-swim-run events plus the beach events of flags and sprints. The Ironman and Diamond events will also be contested. Surf boat and surf canoe crews will compete over long course distances with a short course finish. Masters competitors will also have the chance to make a splash in the Waipu surf. They have the same events as their U16, U19 and Open division counterparts. The programme gets under way at 9.00 am.